Phrasal verbs present a difficult challenge for most students who study English as a second language. Phrasal verbs are often confusing for students, due to their idiomatic nature. Unfortunately, there is no quick formula for students to learn and understand them. There is no one rule for determining which preposition to use after the verb. Each phrase has to be learned and understood individually. So what is the best way for students to learn phrasal verbs? First, students need to understand that phrasal verbs cannot be accurately translated because of their idiomatic nature and the fact that they are compound phrases. Phrasal verbs sound quite strange to non-native speakers of English. However, once the student can understand the nature of phrasal verbs, they usually have an easier time using them. As a teacher, the best practice for teaching phrasal verbs is to introduce only the most widely used ones and disregard obscure phrasal verbs that have become archaic or are rarely used. During a typical class, introducing 5-8 phrasal verbs at a time to students is productive. Choose a small selection that falls into a logical group, either because they are paired with the same preposition, or they fit into the same topic. After understanding the basic meaning of each phrasal verb, they should be practiced in a natural way through conversation. Such conversation should be encouraged through role play and dialogues. Students will greatly improve their English language ability, if they can utilize phrasal verbs. Teachers and materials writers make use of various approaches to selecting and grouping phrasal verbs for teaching purposes. These approaches are also reflected in the strategies learners use for learning phrasal verbs, associating them with each other, remembering them and/or writing them in their vocabulary notebooks.R. Gairns and S. Redman are critical of the principle of grouping phrasal verbs formed from the same verb, since the items are likely to be unrelated in meaning, and not memorable for learners. This is clearly a danger to be aware of. However, such is not always the case. 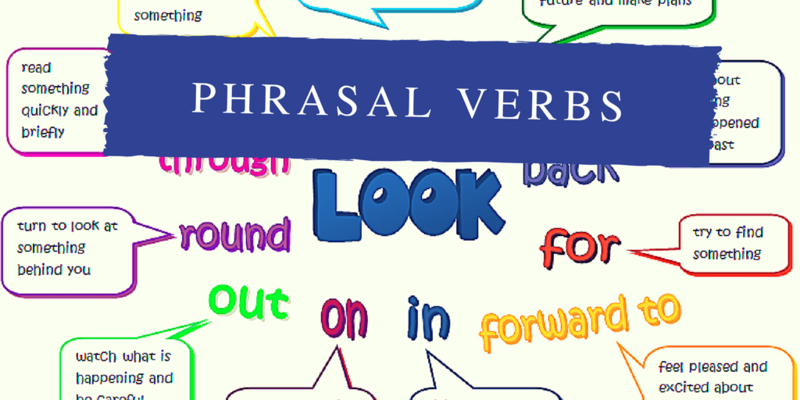 Often there is a basic relationship of meaning shared by phrasal verbs of a common verb. The ‘focus on the verb’ approach can be used to provide data for learners to look for common features of meaning in groups of phrasal verbs. In a given group they should be able to see how the basic physical meaning of the verb is extended metaphorically by the preposition. Gairns and Redman have the same reservations about using the preposition as an organizing principle. The use of different verbs indeed changes the meaning of a preposition. They also note, however, that if the preposition “does perform a more consistent function with regard to its effect on the meaning of the root verb e.g. ‘up’ adding a sense of completion […] then the approach is clearly more valid. The implication is that, when grouping according to prepositions, it may be necessary to subdivide the phrasal verbs of a prepositional group according to a closer or shared meaning. Focusing on individual uses of prepositions, and then perhaps at a later stage mixing different uses for comparison and contrast, can encourage learners to look for and identify systematic features of meaning in the way prepositions are used. Gairns and Redman consider a third approach to be grouping by a contextual link. Such a link “often allows the teacher better opportunities for further practice and possibly makes the verbs more memorable for the students” but can lead to “the inclusion of verbs which are either of little practical use or are inappropriate to the level”. The fourth approach is to gather together different meanings of one verb. Gairns and Redman consider that this approach “is perhaps best suited for revision purposes with more advanced students.” 7 At lower levels, the different meanings are unlikely to be equally useful. As well as phrasal verbs, don’t forget to teach phrasal nouns, such as “outlay” and “layout,” and phrasal adjectives, such as “outstanding” and “mixed-up”. Use similar approaches to verbs composed of a compounded preposition and verb, such as “outlast” or “upset”, and to the nouns and adjectives derived from them, not forgetting that the same principle of combining preposition and verb has also created thousands of words. So provide learners with opportunities to investigate the meanings of elements, such as pro, con, di and gress, for example, progress, congress, digress, etc. Foster an awareness of any similarities between English and the learner’s native language. Many languages share words derived from Greek or Latin or Hebrew, while the meanings may vary in different languages. Start right from the beginning. Teach plenty of phrasal verbs at the elementary level, in the context of general vocabulary teaching. Don’t suddenly try to start teaching hundreds of them all together at higher levels. Don’t isolate phrasal verbs from other types of vocabulary. Encourage learners to look for similarities of meaning in sets of vocabulary items, for example, the various usages of the verb “to get”. Similarly, in working on phrasal verbs associated with a theme or topic or situation, mix them in with other useful, relevant vocabulary. Look for opportunities to illustrate abstract phrasal verbs in cartoons; some learners will produce good ones themselves. For instance, come up with a good idea could be illustrated by a cartoon of a diver coming up to the surface with a shining light bulb representing the good idea. And, of course, bear in mind all the general recommendations for the teaching and learning of vocabulary: the importance of exposure, recycling, personalization and so on. By implementing these suggestions, we can help learners to understand and use particular phrasal verbs, and also to appreciate the hidden, systematic quality behind the apparent chaos of forms and meanings, and thereby become more independent in dealing with unfamiliar phrasal verbs. It remains true, nevertheless, that the meanings of some phrasal verbs are not at all obvious, and that learners will in some cases have doubts about word order, stress patterns and register, so that good reference sources are essential. Phrasal verbs should be introduced in the context of hypothetically real situations. You may be tempted to present each with a synonym or a definition, but this may not give students a clear understanding of how each is used. For example, let’s say you want to teach phrasal verbs in a business context. To present a phrasal verb like “take over”, try the following: Did you hear about XYZ Company? This past week they bought the much smaller ABC Company. XYZ took over ABC. If you supply real company names and real examples, so much the better, particularly if you’re teaching English to business students. They’ll really appreciate the examples and will easily understand the phrasal verb and how it’s used. Follow up by asking them the meaning of “take over”, in this case. 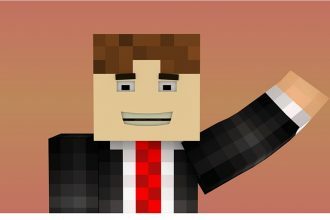 Can they supply other examples of companies that were taken over recently? Do the same with “go under”. Supply an example of a company that has filed for bankruptcy. Have any of your students heard about another company that has gone under recently? From such examples the students may figure out the definition for themselves, or if they are having a bit of trouble with it, help them guess. Give them lots of examples. Use the names of real companies, people and places. Above all, help them understand the phrasal verb, beyond the mere memorization of a definition. Don’t forget this essential clarification: students must understand that phrasal verbs are more informal and are thus used more often in spoken rather than written English, although they may be used in informal, written communication like emails to family or friends. There are a number of ways in which students can practice their new phrasal verbs. Worksheets are a standard, traditional option. One worksheet may emphasize phrasal verbs using the preposition “up”, while another stresses the use of “on” or “in”. These may be downloaded from the internet, or the teacher could write his or her own worksheet. Whether the exercise is “fill in the blanks” or “matching”, give your students plenty of practice. Short videos, such as are found on Youtube and easily downloaded to a hard drive of a computer, may also be used to teach students to recognized phrasal verbs, as they are being used in ordinary conversations. A worksheet may be written to go along with the video, or students may list the phrasal verbs that they were able to catch, and discussion may follow. Games, such as “Bingo”, “Tic Tac Toe, or a board game of your own design, may also be effective. Just give the students the synonym, for example, “postpone” and ask them to come up with the right phrasal verb, in this case, “put off”. The goal for the teacher is to help students go from very controlled activities or exercises to using the new phrasal verbs on their own. Here are a couple of activities that may help. Give every pair of students 2-3 phrasal verbs that they must use in a conversation. The students must come up with a dialogue, put it down on paper, and then act it out in front of the class. Another exercise that encourages the use of phrasal verbs in ordinary speech is to give each student a set of phrasal verbs that they must use in an e-mail to a friend or family member. For example, they may use phrasal verbs connected with food to write about their holiday meal. To summarize, phrasal verbs are essentially idioms, and they need to be learned as idioms, a few at a time. They need to be presented and practiced in real or simulated circumstances. The most important task for the teacher is to group the phrasal verbs systematically, so that by means of association they can be more easily remembered. Above all, have a good time with your students and enjoy some laughs. These phrases are often quite colorful and interesting, especially to those who speak a native language other than English.